If you’re looking for a patio heater like that offers excellent weatherproof protection and a commercial level of heat coverage (but aren’t fussed about the built in TV), then the Warmwatcher Helios might be the patio heater for you! The 3kW Helios is the cheapest floor standing Warmwatcher patio heater available on the market. With prices ranging from £400.00 to £999.99 for this range of high powered and feature packed patio heaters. All of the floor standing range offers up to 30sqm of heat coverage. These dual 1480W carbon fibre elements provide heat up to 5 metres away in a wide 110-degree radius. Perfect for large gatherings or heating multiple tables at once. They’re incredibly versatile and work in both a commercial and domestic environment, thanks to the adjustable heat control. Each element comes with an estimated 10,000-hour lifespan. This is the top-end of most element lifespans, comparable to that of both Veito and Optima Heaters (whom offer re-branded Warmwatcher heaters). You’re looking at a before-electricity cost of 4.5pence per hour. Which is slightly higher than average, but you’re getting a top-end patio heater, with an array of extras that will withstand the test of time, for the same hourly cost as heaters in the £200.00 range with a 5,000-hour lifespan. This does drop to under a penny per hour after factoring the cost of the replacement easy-fit elements. Thanks to the carbon nature of these elements, you’re also getting a low-glare heater! 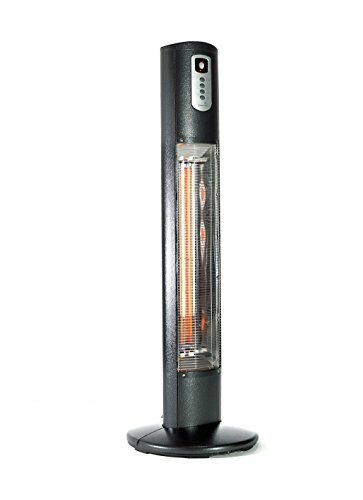 We’re happy to say this heater has 2 heat settings – 1480W / 2960W. 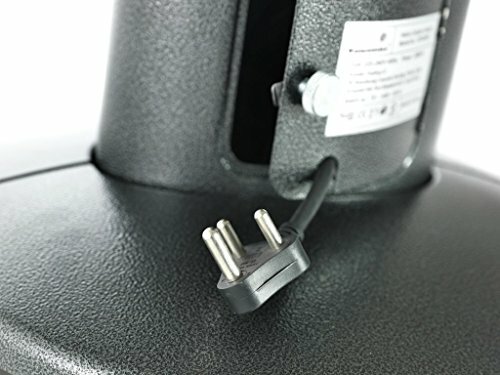 Rated 208-240V 50/60Hz and comes with a 3 pin power plug. Built to the same standard as the Athena patio heater, so while you’re saving money on not having a built-in media centre, you’re not losing out on build quality! Product Dimensions: 169cm tall x 50cm diameter. 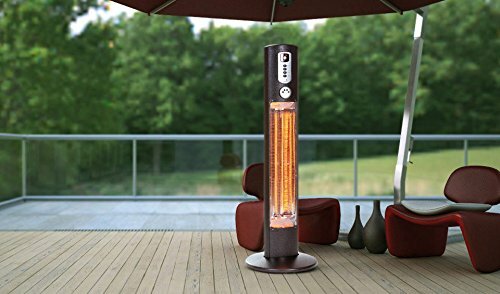 These patio heater is eco-friendly, as it is supplied with a PIR function, which turns the heating elements off after no movement has been detected for 4 minutes. You’ll never lose the controller again, thanks to the magnetic holder built into the main unit. 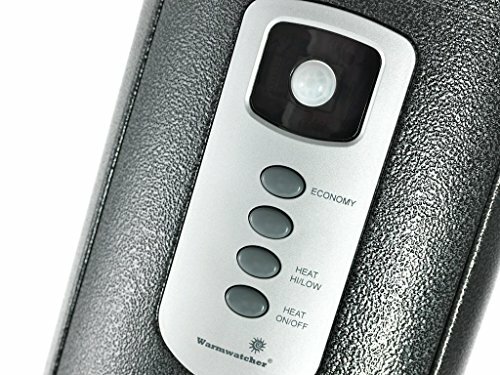 This remote controls heat output and the economy PIR mode. Weighing in at 21.5kg the roller base makes moving this heater a breeze. 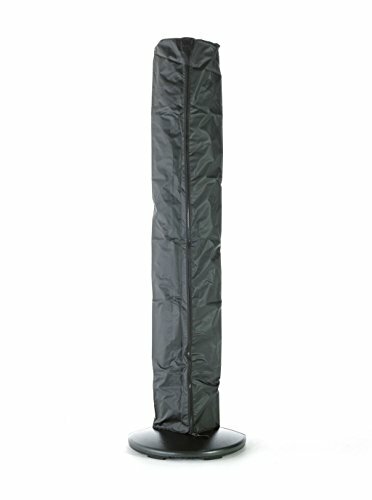 Each Warmwatcher heater also comes with a protective nylon cover which is waterproof. The Athena heater by Warmwatcher has a weatherproof rating of IP55. Solid rating 5 – this heater is protected from solids and dust! The front grill also offers some protection from the heat output, so if your customers do accidentally touch it, they shouldn’t get burnt. Liquid rating 5 – it also offers superior liquid protection and is rated to protect from rainfall and water jets! 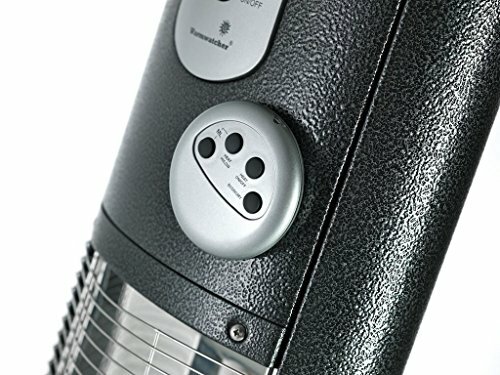 At its current price we can recommend this heater for both domestic and commercial users. 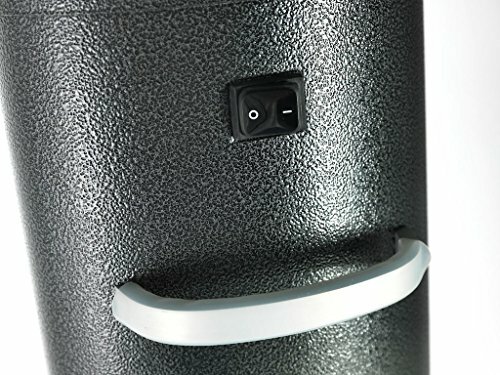 It’s packed with features and incredibly durable. The wide heating area makes it ideal for cafes, bistros, airports or any commercial space in need of heating. While the lower heat setting makes it suitable for domestic users who don’t necessarily need the full heating range all the time, but still want the option! We can calculate the cost of electricity by doing the following: (based on an average price of 14.7p per kWh). Thanks to the low power setting this heater can be quite economical to run. 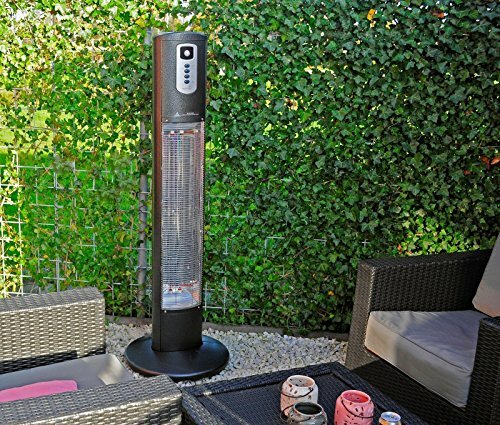 This patio heater comes with a lot of features, as to be expected when spending in excess of £400! It has a relatively high upfront cost, but on-going costs are minimal and this heater will survive year after year. Once it’s time to replace the elements (which are also IP55 rated) this heater becomes one of the cheapest on the market. If this doesn’t quite tick all your boxes, then the Diana or Apollo might be more your thing.